Clydesdale Bank has been confirmed as main sponsor of Scotland’s biennial national beef event which is set to attract thousands of beef farmers from all over the country to the Borders in June. Scotland’s Beef Event 2017 is being hosted by Douglas and Kelda Stewart, and their family, at Fans, Earlston, Berwickshire, on Thursday, June 8, and is being organised by a local committee under the chairmanship of Sion Williams, farm manager at Bowhill Estate, on behalf of the Scottish Beef Association. 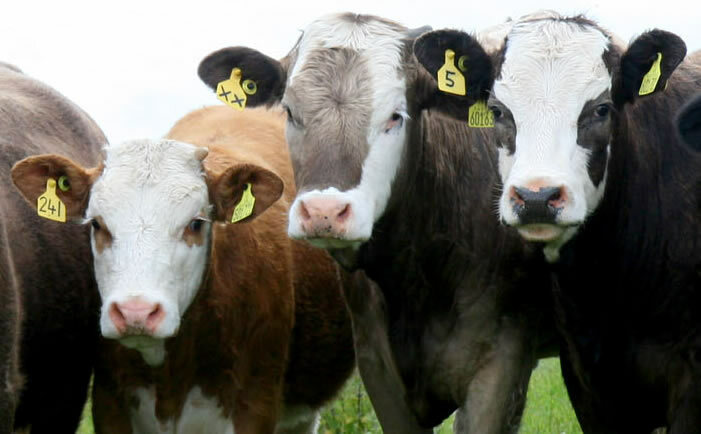 Adopting the theme “Beef Up Your Profits”, the focus of the one-day event will be on technical efficiency to help beef producers ensure the long-term sustainability of their businesses. SBA chairman, Neil McCorkindale, welcomed the bank’s sponsorship which would enable the association to mount a first-class event for the beef industry in Scotland. Clydesdale Bank area manager agri and commercial for South Scotland and North Cumbria, David Hannon, said Scotland’s Beef Event 2017, was a truly major event for the beef industry and he urged all beef producers to make every effort to attend. “We are delighted to again be supporting this important biennial event, having experienced the technical and professional excellence of the 2015 programme and having already seen the quality of producer and business involvement lined up for 2017,” said Mr Hannon. “As the beef industry approaches the UK and EU changes of the next few years, it is vital that producers focus on the parts of their business which they can influence personally, whatever political and economic decisions are taken. That will include sourcing the best breeding stock, implementing efficient production and marketing systems and maintaining close awareness of consumer requirements. Additional sponsors confirmed so far include Scotbeef, Quality Meat Scotland, Almins, DLF Seeds and Science, Aberdeen-Angus Cattle Society and Scottish Borders Council. Fans is a tenanted farm on the Mellerstain Estate and base for an extensive beef and arable enterprise extending to 2000 acres and including a commercial suckler herd of 400 Aberdeen-Angus cows crossed with Aberdeen-Angus bulls and all progeny finished on the farm. Other features of the day will include a farm tour, trade stands, breed society exhibits, demonstrations, grassland management and seminar. The event will be opened by the Scottish Government’s Cabinet Secretary for Rural Economy and Connectivity, Fergus Ewing.